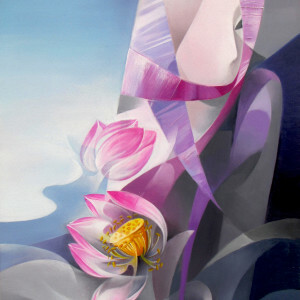 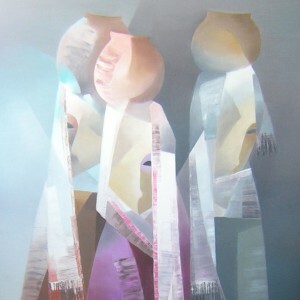 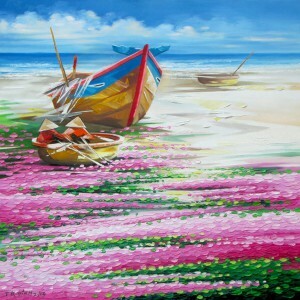 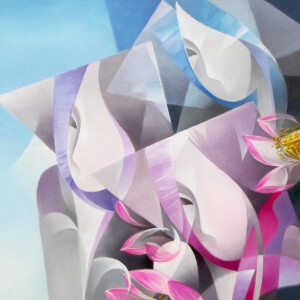 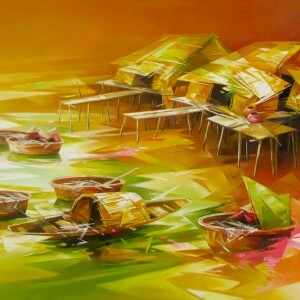 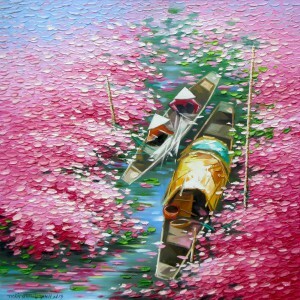 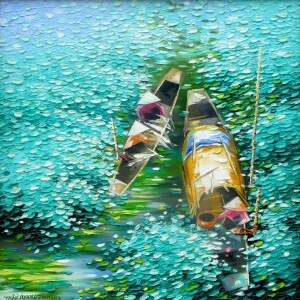 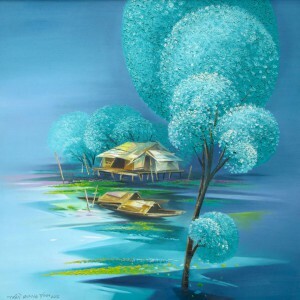 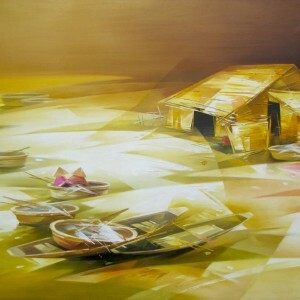 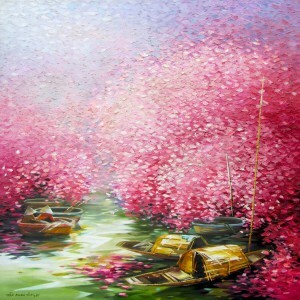 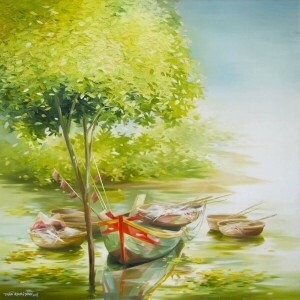 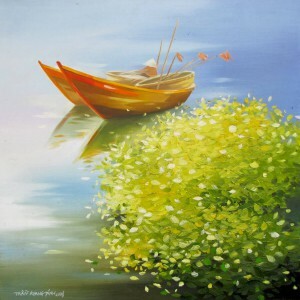 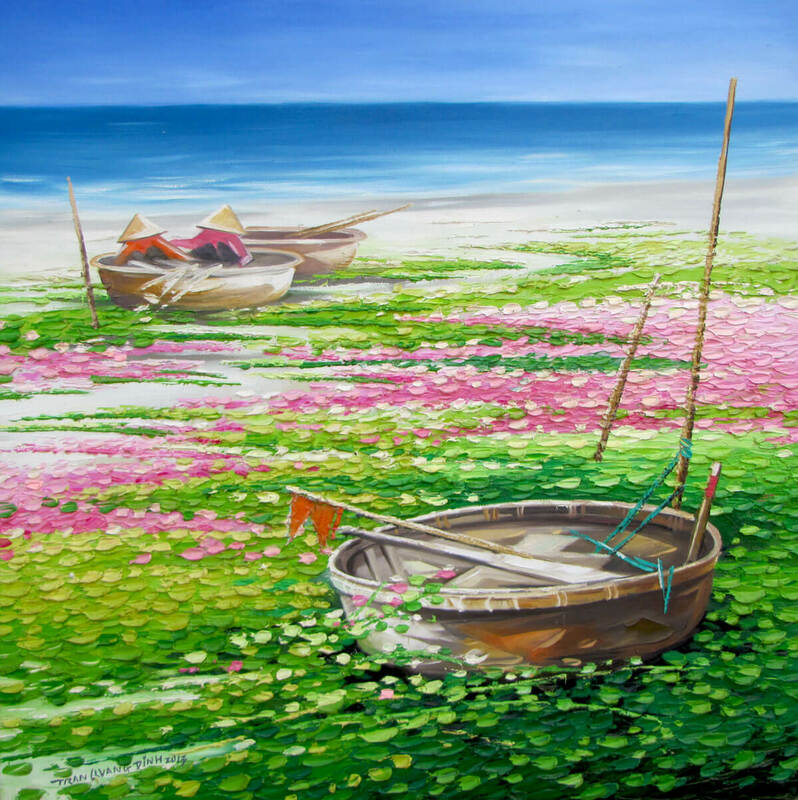 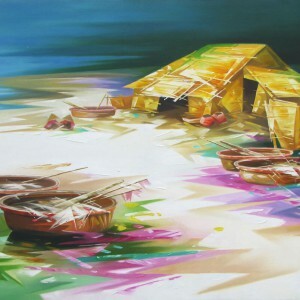 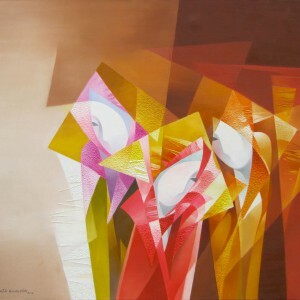 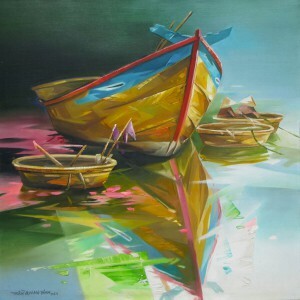 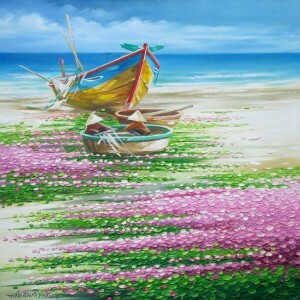 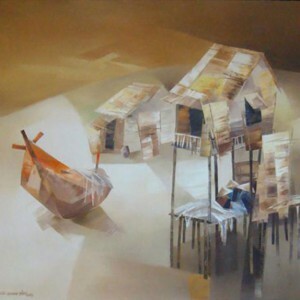 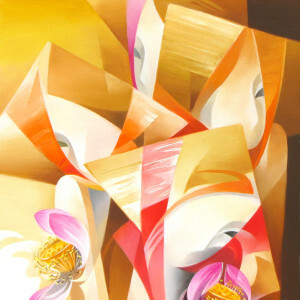 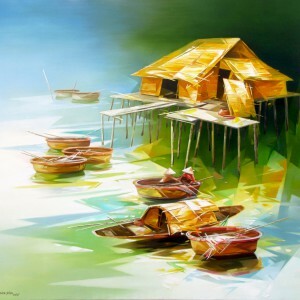 Contemporary Asian painter Tran Quang Dinh is well-known for his recognizable painting style. 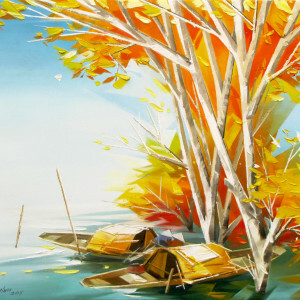 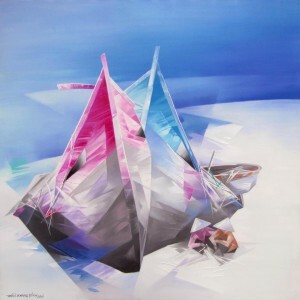 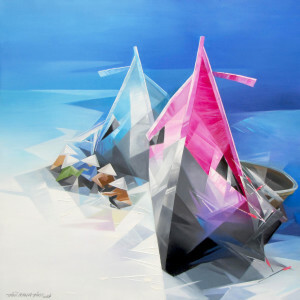 Through eloquent color combinations and active brushwork, he expresses feelings for his home country. 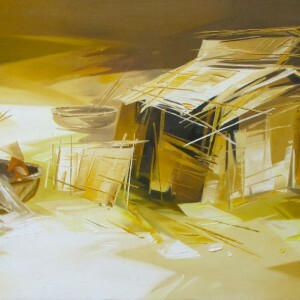 He does not look for lofty and intricate scenes. 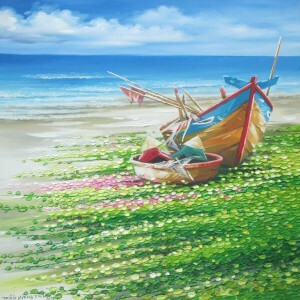 He remains loyal to the images of the routine life of fishing villages, like this painting of a morning seascape.